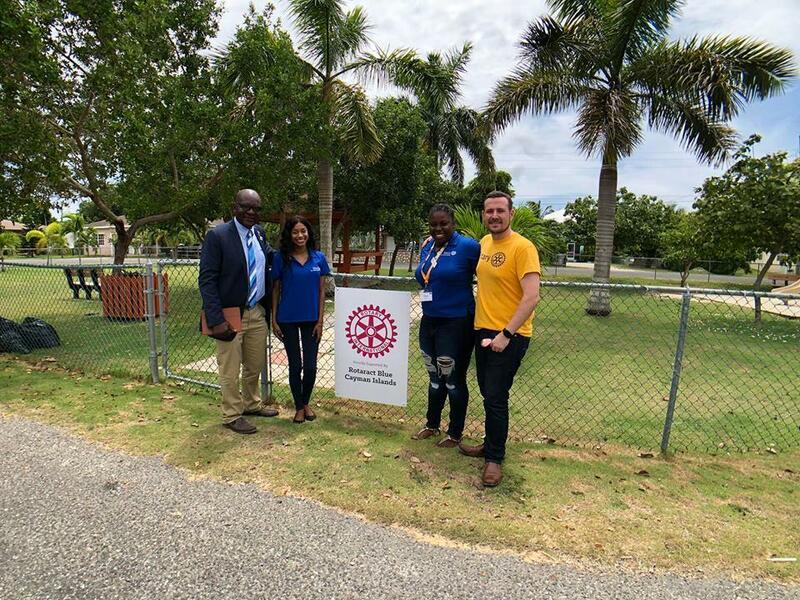 The week started with DG Patrick, his wife and Rotarians visiting our sister island of Cayman Brac and the Rotary club located there. On Tuesday, the following night, Rotary Central hosted the special guests and a few Blue members were in attendance. Our Public Relations Chair Alanna started the evening off with a very interactive ice breaker – stand if you were there! The meeting was very exciting with a presentation by a group of young, outstanding scholars of the John Gray High School explaining their experience at the 2018 World Affairs Seminar (WAS), an international youth initiative of Rotary International District 6270. The District Governor gave a very inspirational address which ties into this year’s Rotary International theme, ‘Be the Inspiration’ and stated the importance of donating your time. 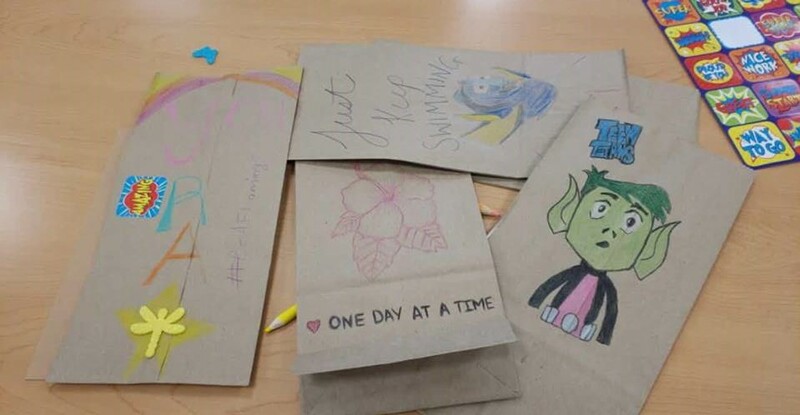 Following the theme of ‘Inspiration’, attendees of the meeting wrote words of encouragement in books for the Little Free Library Project as inspiration starts with us. Wednesday, we took to the road, for an island-tour to sightsee and visit both Rotary and Rotaract projects. 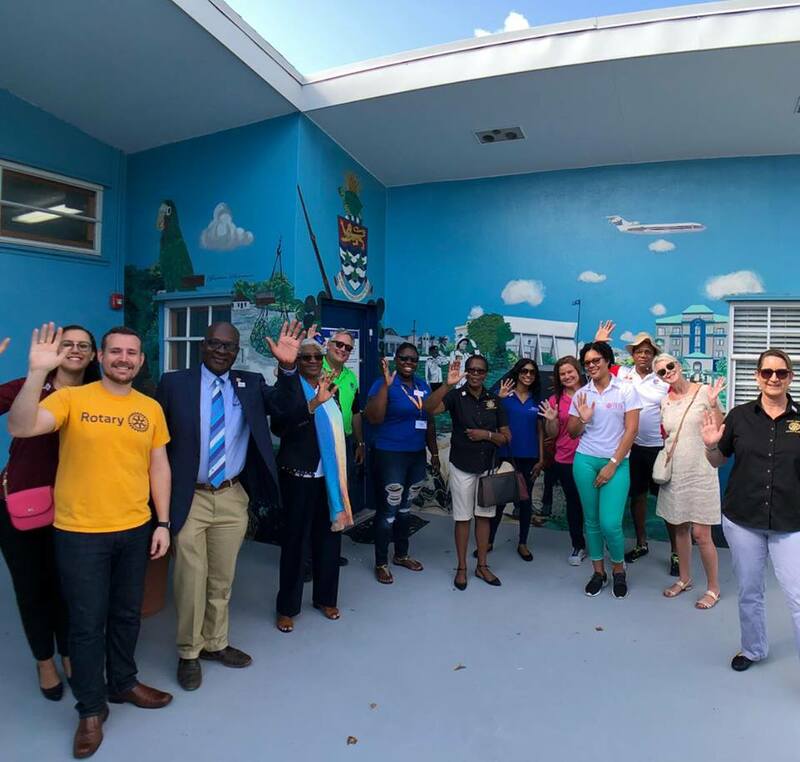 These included the Bonaventure Boys’ Home, the future home of Cayman HospiceCare, multiple Community Parks, Rotary Central’s Bus Shelter Program, the 7 Mile Beach Mobi-mat and others. After the tour, we finished with the Rotaract Club of Grand Cayman’s (Lil’ RCGC) Brown Paper Bag Packing Project and a delicious lunch from Singh’s Roti Shop, doubles anyone? Later that evening, DG Patrick and Dr. Lesline along with Assistant District Governor David, President Will of Rotary Central and Secretary Jennifer, joined the board members of Blue for a wonderful, casual dinner. On the following Thursday, Lil’ RCGC hosted DG Patrick at their morning meeting. It was a jubilant one which also included coffee and breakfast – yum! There the DG spoke to the Rotaractors about taking the opportunities given to us and reiterating the fact that we are the future of Rotary. Later that evening, board members from all clubs were invited to attend a cocktail reception to celebrate the end of an eventful week.